The XPTray is designed and manufactured by XPCamper in Grass Valley, CA. 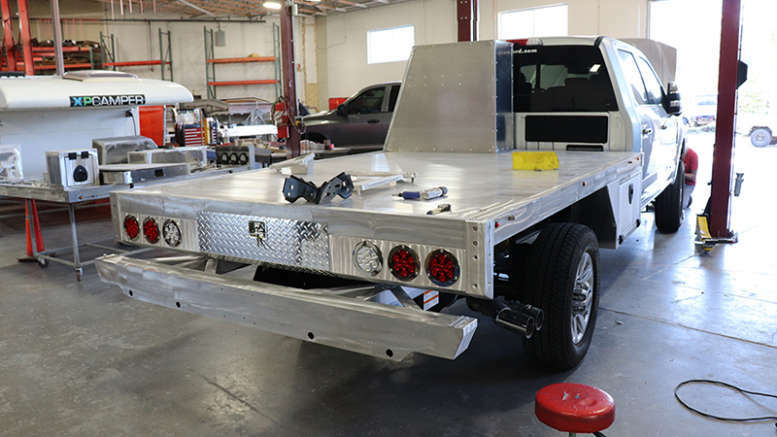 It’s at custom aluminum flatbed system with ample storage, and a solid foundation to fit an XPCamper or use strictly as a flatbed. Each XPTray is designed specifically for your particular truck application, from a Toyota Tacoma to a giant Acela 6×6 Monterra Tractor! There’s even a version of the XPTray that fits Four Wheel Camper flatbed models. You can see an example of this in our RAM 2500 Overland Build article. All XPtrays are set up on a flex mount system that isolates the flatbed and camper from the frame of the truck, which prevents breaking. And, except for a couple of specific places on the flatbed, all parts are bolted together vs. welded to prevent cracking. 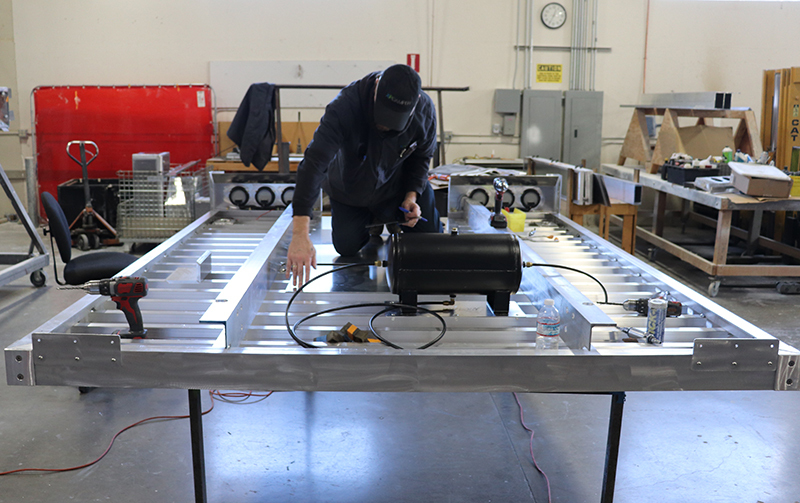 Fabrication of these aluminum masterpieces includes a CNC router and CNC press-brake, which cut and bend the aluminum. All hardware used in assembly is stainless steel. The flatbed deck itself is bonded, extruded aluminum – a site to behold! 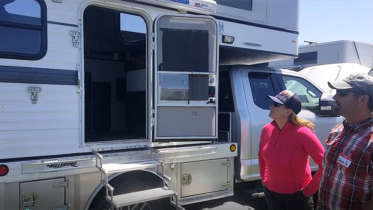 And one of the most unique features of these flatbeds includes a quick pin-lock system that mounts the subframe of the camper to the flatbed. Using camper jacks, one person takes roughly 20 minutes to remove or install the camper. There’s no need to climb inside or any tricky tie-downs with the pin lock system. This allows you to easily remove your camper and put your flatbed to use for other purposes if needed. XPTRays have LED rear and side marker lighting with waterproof, marine grade wiring and plugs. The XPTray flatbed we reviewed in the video, even had a custom aluminum housing for the rear camera and rear vehicle sensors, as you see in new vehicles. XPTrays are loaded with ample storage, including a unique 6’ rear slide out drawer that can act as a table, and is encased to prevent dust from entering when on the trail. A big storage locker behind the cab, with slide out drawers (all-aluminum) is also available. There’s all sorts of other storage boxes around the perimeter of the flatbed. Even space in the rear bumper isn’t wasted, with a hatch on the end that allows you to store fishing poles or other similar-sized gear. Depending on your configuration desires, XPTrays are completely customizable. So, if you’re looking for a camper flatbed or even a lightweight flatbed with great storage in general, take a look at the XPTray each one is fine design, functionality and craftsmanship. Be the first to comment on "The XPTray: Aluminum Camper Flatbed with Storage by XPCamper"